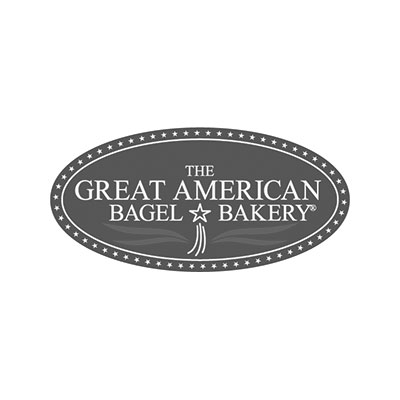 The Great American Bagel & Bakery is a unique restaurant found in many airports and storefronts worldwide. Our casual dining experience reveals a warm, relaxed atmosphere that attracts and lures thousands daily to our restaurants. Our bakery concept is designed to achieve the ideal restaurant wait time without compromising quality. Our menu has something for everyone: bagels, egg sandwiches, deli sandwiches, paninis, muffins, cookies, espresso drinks, beverages and more. Whatever the taste buds are seeking, they are sure to be satisfied at our bakery. At The Great American Bagel & Bakery, the customer can order a fresh pre-made sandwich or request a “build-your-own” sandwich. From our award winning bagels to our hearty sandwiches and gourmet coffees, our name denotes superior quality.